Trilogy at La Quinta is a fabulous Shea Homes community with amazing amenities and stunning views. In the heart of Southern California, Palm Springs offers an ideal retreat for active adults. The area features a beautiful climate, diverse shopping centers and restaurants, renowned golf courses and unique cultural attractions. It also has many impressive active adult communities, such as the ten listed below. Built by Shea Homes, Trilogy at La Quinta features all the amenities needed to support an active adult lifestyle. This mid-sized community opened in 2005 with plans for 1,400 single-family homes. 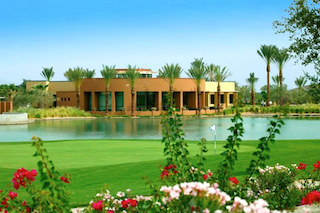 In addition to its 18-hole golf course and traditional resort-style amenities, the community also boasts a full-service spa and a learning center for continuing education classes. Indian Ridge Country Club is a fabulous gated community which was developed by Sunrise Development Group between 1993 and 2006. The development includes 1,068 homes in both attached and single-family designs. Although Indian Ridge is open to residents of all ages, it appeals to active adults with resort-style amenities including two 18-hole golf courses, an impressive clubhouse and diverse outdoor recreations. Completed between 1995 and 2004, Heritage Palms was originally opened by U.S. Homes and later acquired by Lennar Homes. Today the community features 1,004 diverse homes, 27 holes of golf and a spacious clubhouse with a fitness center, hobby and game rooms, swimming pools, sports courts and more. Built between 1992 and 2003, Sun City Palm Desert is a well-established Del Webb community which offers nearly 5,000 beautiful homes and an exciting line-up of resort-style amenities. Residents can enjoy fitness centers, swimming pools, sports courts, hobby and game rooms, on-site restaurants, three championship golf courses and much more. Sun City Shadow Hills is an extraordinary Del Webb community in the beautiful Coachella Valley. Just two miles east of Sun City Palm Desert, Sun City Shadow Hills is Del Webb's second active adult development in the Coachella Valley. The community opened in 2003 and is still developing, offering 3,400 new construction and resale single-family homes. Amenities include two championship golf courses, two spacious clubhouses, restaurants and outdoor recreations. 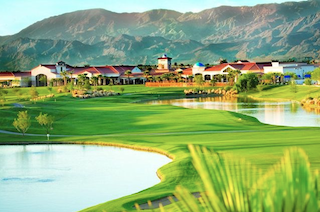 Open to all ages, Rancho La Quinta features 960 homes and impressive resort-style amenities. The community was developed between 1994 and 2008 by T.D. Desert Development. Its amenities include a 23,000 square-foot clubhouse with a restaurant, a pro shop and two 18-hole golf courses. A second facility features another restaurant, a fitness center, tennis courts and an outdoor pool. Active adults looking for new construction homes in the Palm Springs area won't want to miss Four Seasons at Terra Lago. This fabulous K. Hovnanian development opened in 2013 with plans for 820 single-family homes. Plans for the community include a spacious clubhouse which will include a state-of-the-art fitness center, hobby and game rooms, swimming pools, sports courts and more. Welcoming residents of all ages, Trilogy at the Polo Club is a new resort-style community that was opened in 2013 by Shea Homes. While development of this gated community is still underway, plans include 750 single-family homes, as well as a variety of exciting amenities and recreations. Its prime location also puts residents within easy reach of attractions throughout the Coachella Valley. Developed between 2001 and 2005, Indian Springs Golf and Country Club offers 709 beautiful single-family homes. The community is open to all ages, yet it features amenities that support active adult living. The spacious clubhouse includes two fitness centers, an on-site restaurant, two swimming pools, sports courts and an 18-hole golf course. Opened by the Drummond Company in 2005, Andalusia at Coral Mountain is a luxury community that welcomes residents of all ages. Interested homebuyers can choose from 700 single-family homes on either a resale or new construction basis. Resort-style amenities include an 18-hole golf course, restaurants, tennis courts, an outdoor swimming pool and a state-of-the-art fitness center. Whether you're looking for an age-restricted community or a development that is open to all ages, the Palm Springs area features many options for fabulous resort-style living in Southern California.